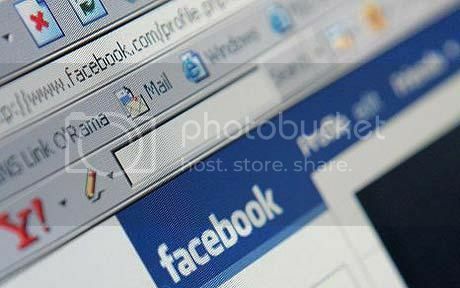 BizzNtech | Should I allow my Children to Use Facebook? Should I allow my Children to Use Facebook? The founder of Facebook- Mark Zuckerberg recently stated that eventually he would like to see Facebook lobby for changes in COPPA or otherwise figure out how to let kids under 13 register and use Facebook more importantly in compliance with the law. Well, as usual every coin has two sides. So, let’s speak about the plus points and negatives. Facebook is good when it comes to networking. This will help children to build a good friend circle and keep in touch with each other. Taking it in a positive way, children can work and study together online. Giving off a certain time towards social networking is essential. This way the kid will not be timid and an introvert as it grows up. Better relationships can be maintained with family members. Nowadays, children often do not want to visit relatives and keep relationships. This is not simply because of their character, it is also because of their busy schedule. Children can communicate with relatives, keep a track of family members birthdays and keep in touch with them. For communicating with family members you don’t need to have their phone numbers or home address, a simple click on the profile of the family member does the job. Another point that would outweigh the negatives is advantage of internet over gaming and TV. You would be better off making your kid using the web rather than the kid getting addicted to TV and Guitar hero! Not every Facebook user may have good intentions! Watch out and monitor! Children may often think that Facebook is safe why do parents bother and restrict them. But, you need to make the kids understand that Facebook is just like a public arena. The kid is exposed to good and evil. Responsible parents will hold the hands of the child just like they would in public. Monitoring kids while they are using Facebook is essential. Parents need to monitor what kids post on Facebook. Status messages should be always positive! Positivity will help them to know people better. Also, words used and photos posted should be constantly monitored by the parents. The “F” word is everywhere these days. Kids should be kept away from such things. Allotting a fixed time is important! Children should be allowed to use Facebook only for a certain amount of time and should be looked over and guided during that period. Parents can toggle the privacy settings and set it to high so that the pictures, status messages and the profile are not public. This way you can limit unknown users sneaking into children’s profile. Make sure that children are not using too many applications. And, the ones that are used are safe. This way you can avoid other people phishing children’s information and also protect them from those who have dirty plans in mind. Facebook has its own pros and cons. But, setting out boundaries for children is essential. Having a good conversation with children and stating the good and the bad would be good. Understanding the child’s attitude you can decide if they are worthy enough to use it or not. Can I Know If Someone Visited my Facebook Profile?